The Railway Children is an alternative rock band from England. They are best known for their song "Every Beat of the Heart", which peaked at #1 on the Modern Rock Tracks chart. In 1984, Gary Newby, Brian Bateman, Guy Keegan, and Stephen Hull formed The Railway Children. They signed to legendary Manchester record label, Factory Records and started to record their debut album Reunion Wilderness in 1987. They were signed to Virgin Records soon afterwards. The next year, the band released their second album, Recurrence, to little commercial success. In 1984, Gary Newby, Brian Bateman, Guy Keegan, and Stephen Hull formed The Railway Children. 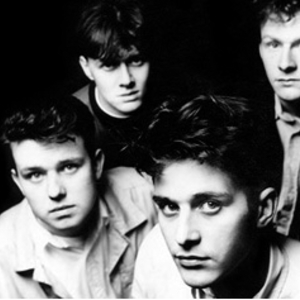 They signed to legendary Manchester record label, Factory Records and started to record their debut album Reunion Wilderness in 1987. They were signed to Virgin Records soon afterwards. The next year, the band released their second album, Recurrence, to little commercial success. In 1990, they released Native Place, an album that incorperated some elements of the current club music trends in England at the time. "Every Beat of the Heart" became a top 40 hit in the UK with a peak at #24, and the song became a #1 hit on the newly-founded Modern Rock Tracks chart in the US. In 1992, EMI took over Virgin Records, and the band left the label. Two years later, the band broke up, although Newby released one more album as "The Railway Children" without the other members of the group. Keegan later had a spell in Wigan-based folk-rock band The Tansads.